LAKE MINING DISTRICT, near Lake City, Hinsdale County, Colorado, San Juan. Incorporated 1876. Denver: Tribune Steam Printing House, 1876. Original printed pink wrappers; 16 pages. Good plus condition. 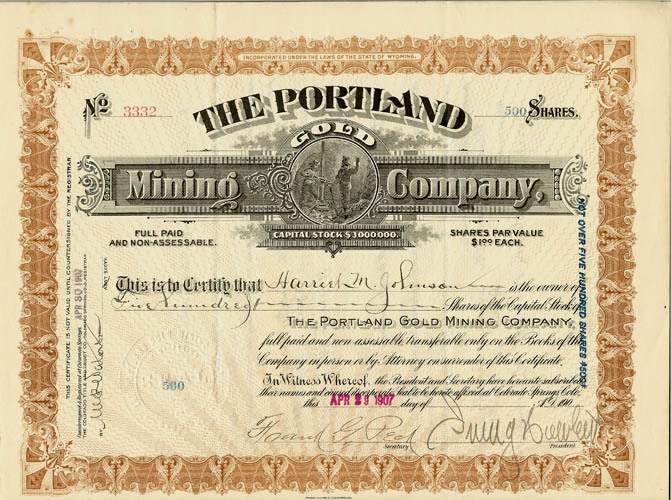 Issued September 24, 1903, uncancelled. 102 claims. The Boulder Bay group of 31 claims, 620 acres, on the Kenai Peninsula. Copper and gold. The Copper Mountain Group, 9 claims in Landlock Bay, near Boulder Bay. Iron Mountain Group, 62 claims, including the Duchess and Blue Fox properties, Horseshoe Bay, 60 miles west of Boulder Bay, Latouche Island. 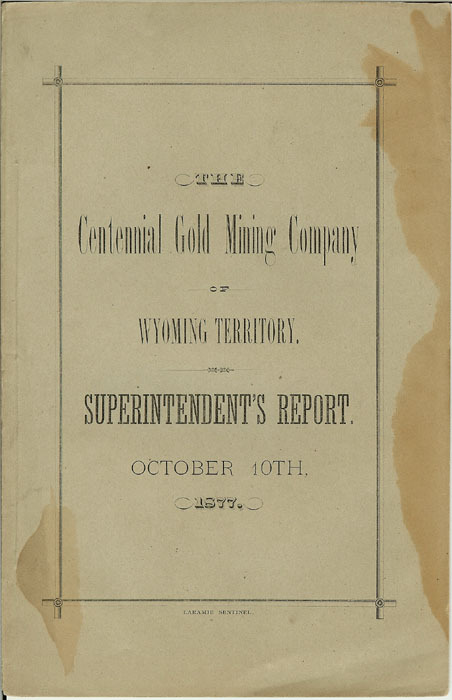 Copper ore. Company was original promoted by Henry D. Reynolds, who was ousted in 1907; and, in 1908 was arrested on a secret indictment, returned by a federal grand jury in Massachusetts for using the mails to defraud. Reynolds had a long string of collateral enterprises having absolutely no connection with the legitimate mining and smelting operations. 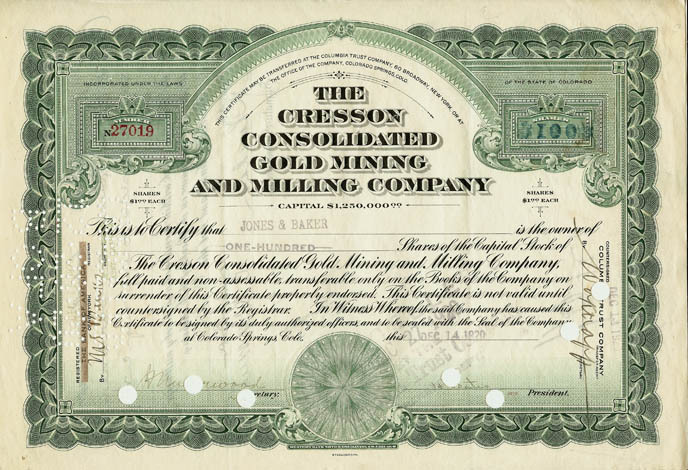 The Company's real estate holdings in and around Valdez was sold under receivership in 1908. 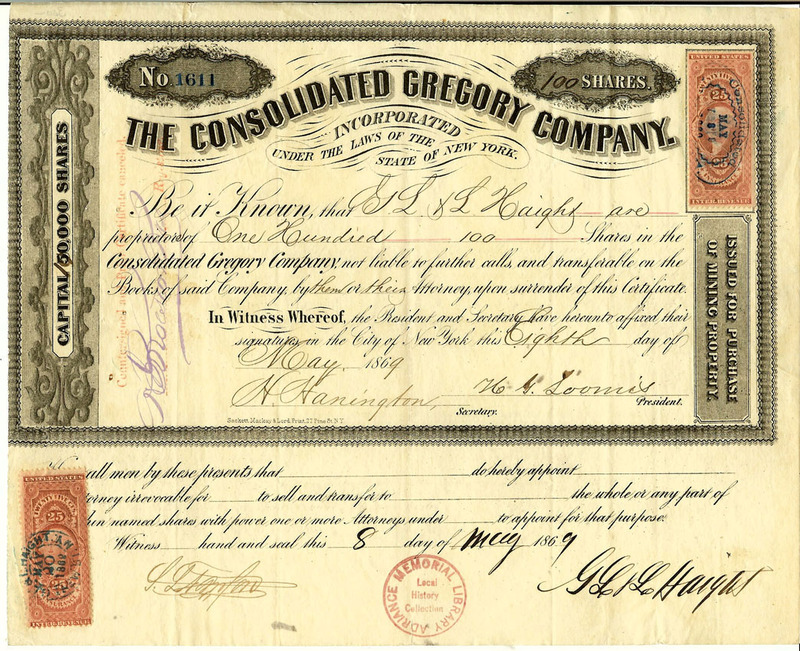 In 1909, the Company was in bankruptcy, but proceedings terminated in 1910 after a settlement was made with creditors. 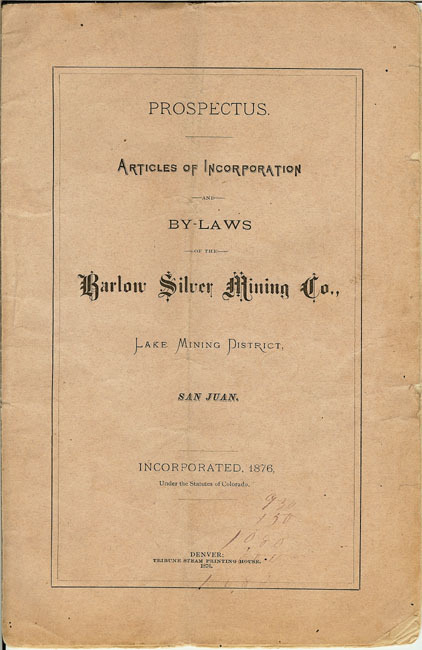 This certificate represents the legitimate mining operations of the Company cleansed of Mr. Reynolds' philandering. Governor John Green Brady (1848-1918) of Alaska was forced to resign due to his involvement with Henry Reynolds. Condition: near fine; some wrinkles. This certificate is signed by H.A. 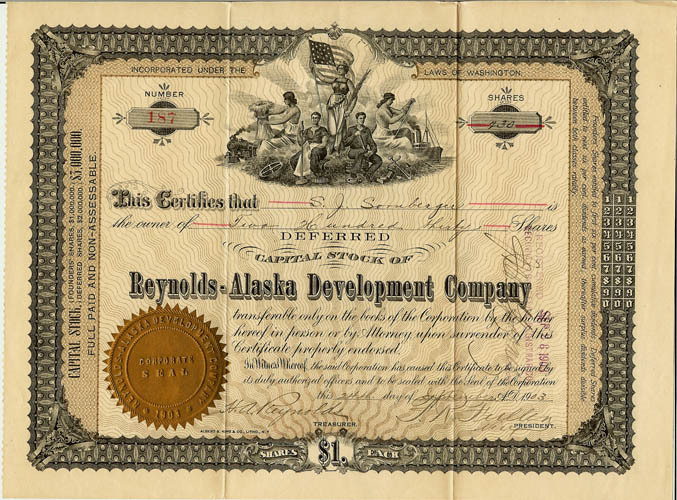 Reynolds as treasurer of the Company.